Today I want to share some picture ledges my husband and I made using Carissa's tutorial on the Brown Eyed Fox. When I saw her ledges, I knew they would be perfect for this wall as you enter our kitchen from the garage. Because this is a small space, we chose to make our ledges a little more narrow than Carissa's. To make each of these, we used 1x3's for the back and bottom of each ledge and 1x2's for the front. The shelves are made from red oak and are about 5 feet long. 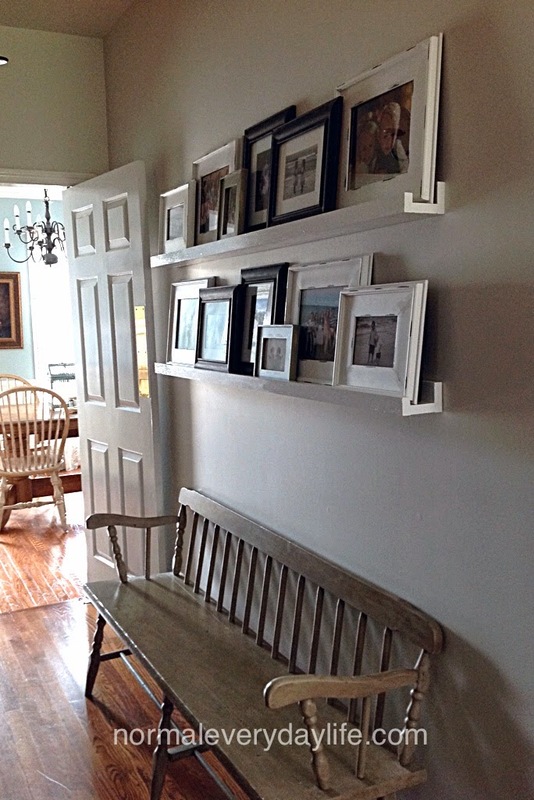 I painted each board white before we built them and then put a final coat on each ledge after it was on the wall. Here is a good look at the shelves from the side. We nailed our ledges together and then screwed the finished product directly into the studs in the wall. Attaching them directly to the studs doesn't leave room for error, but it makes them very sturdy. Fortunately, my husband was in charge of the measuring and they came out level on the first try! What do you think? 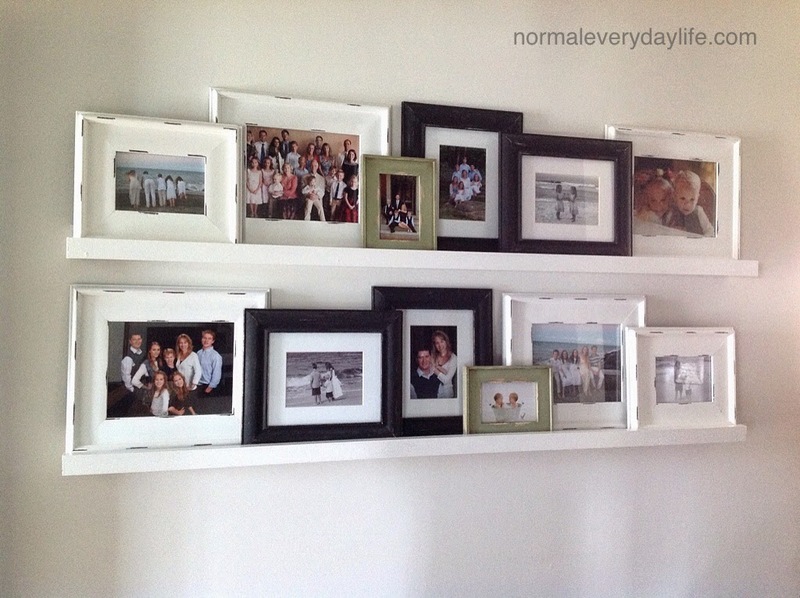 I love the way you can layer the frames and change the pictures around at any time without making any new nail holes! Your picture ledges look great, Marie! I love that you overlapped the frames and mixed in a little black and sage green. You guys did a great job! they look awesome! i might have just found a weekend project! Thanks, Kerri! I'd love to see them if you decide to do that! I LOVE those!!! Great job!!!! I love the clean and simple look of these ledges. Great job. 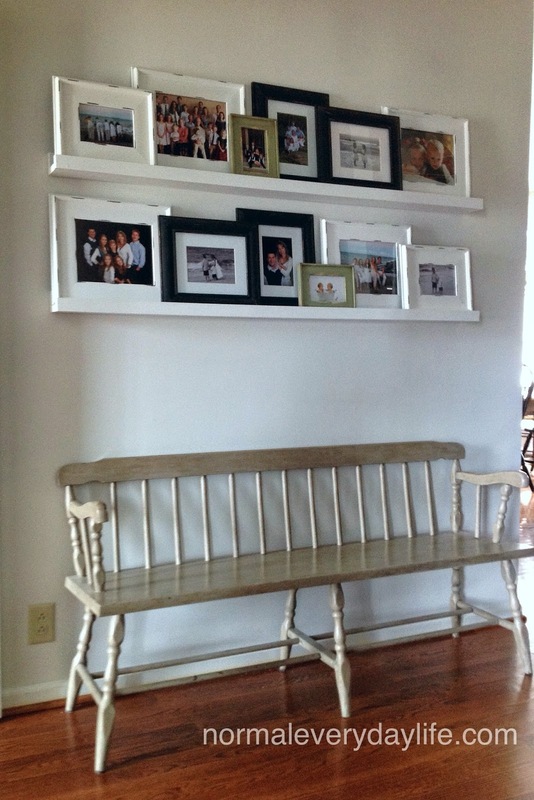 i love this idea...so easy to make...i can do this and husband can mount them on the wall. This would be a great idea in our stair well. It would make it a lot easier to display pictures there. Getting the ladder out and dealing with stairs, a landing, and poor lighting is a pain when trying to update the family pictures. Thanks for sharing. Thanks, Audra! I'd love to see it on your stairs if you decide to do it! How pretty and such a nice way to display pictures! Looks great above the bench! They look great! We made similar ledges for our twins room. :) They are very nice to have for many uses that's for sure. Thank you! I think children's bedrooms would be a great place for these because they always have knew art to display! Love these! I have a big empty wall and that might be the perfect thing to do. 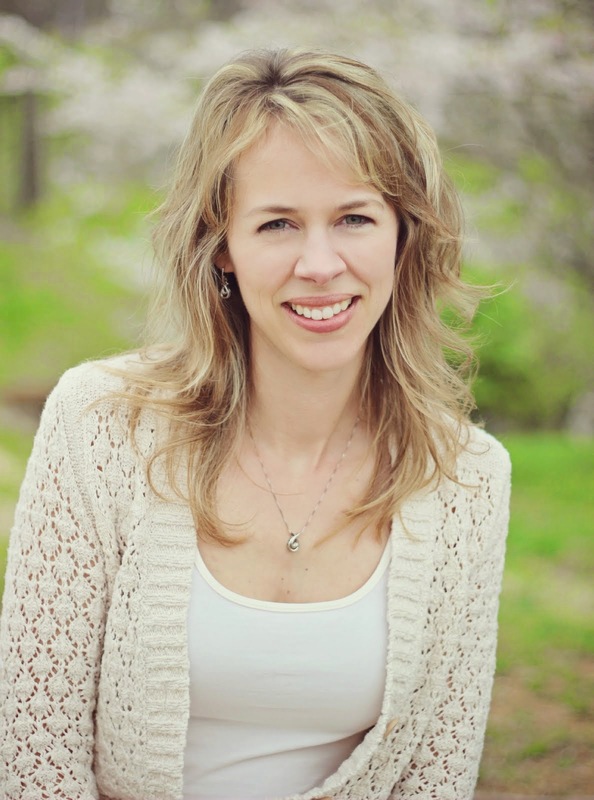 Would love it if you shared this at our Motivational Monday party on Burlap and Babies! Thanks for linking to our Motivational Monday party! I do need to build some of these. I've Pinned your post for future reference; thanks for sharing!